In this blog item, we talk about the “zabbix-agent” role. The latest version is 0.2.0. This will need the ip address or the FQDN of the “zabbix-server”. As you see it is very basic and does the job very good. This only installs the agent on the specific server and configures the configuration file. But we really want to automate everything right? For now, when the host is created, it will only create the “zabbix interface”. Maybe with the next release I’ll make sure you can also create SNMP, JMX and IPMI interfaces. How do we have to configure it? Something like this. You will have to change it to your environment. I’ll skip the first 2 parameters, as these are described earlier on this page. zabbix_url: The url on which the Zabbix web interface is available. zabbix_api_user: The username which will connect to the API. zabbix_api_pass: The password for the “zabbix_api_user” user. zabbix_create_host: present if we want to create the host, absent if we want to delete it. zabbix_host_groups: List of hostgroup where this host belongs to. zabbix_link_templates: List of templates which will be linked to the host. zabbix_macros: key, value pair of macros that will be used by the host. Nice! If you check the Web interface, you’ll see that the host is created with the correct host groups and templates. If not, you’ll see some error messages in the Ansible output which will say what went wrong. There are more parameters which can be overridden, please check the “defaults/main.yml” file or the README. Who doesn’t like to automate tasks when this is easy and can save a lot of time/troubles. When you are just starting with Zabbix, it seems that the only thing you can automate is installing the components with rpm/deb packages on the servers/clients. After installation of the packages, you’ll still need to create the host in the web interface which takes some time (And boring to if you have a lot of hosts to configure..). There is an possibility to use (auto) discovery rules, but this requires some configuration in the web interface and this only works once when the host isn’t configured in the web interface (Initial setup only). 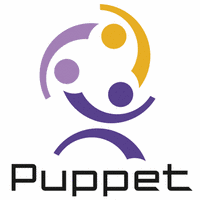 There is an requirement when you want to do this: Puppet Master needs the PuppetDB configured. If you want to configure an PuppetDB, please use Google for this as I won’t discuss this here. The idea is that when an installation is done via the “zabbix::agent” class on the agent, it send some information via puppet to the PuppetDB. This is some basic information like ipaddress, name of the host and the hostgroups for this host. When the puppet agent on the “zabbix-server” runs, it will retrieve the information from the PuppetDB and will create via the Zabbix API the host(s). With this setup, everything is automated and you don’t have to worry for forgetting something. So, how do you have to configure the zabbix module? There is an other nice feature in the “wdijkerman-zabbix” module which uses the Zabbix API. The “zabbix::userparameters” define can make use of the API. The goal for this define is installing an UserParameters file in the zabbix-agent includedir. This file consists of 1 or more UserParameter entries which explains what commands needs to be executed for an key. There is an item in a template which executes the “sudo /usr/sbin/exim -pbc” command with the “exim.mailq” key. When the above 3 lines are in the exim puppet module and this module installs the UserParameter file, you still need to update the host in the web interface to make sure the “Template Exim” is assigned. We also supply the name of the Zabbix Template in this “user::parameters” define. When configured we first have to execute an puppet run on the agent, so it sends some data to the PuppetDB. When the Puppet Agent runs on the “zabbix-server”, it first checks if the hosts exits and then it will assign the template “Template Exim” to the host automatically. Off course when the template does not exists, the Puppet run will fail. So, we first show you have to do this with the PostgreSQL as backend. As you see in this manifests file, we have configured to use the postgresql-server class and the zabbix-proxy class. This zabbix-proxy class needs 1 parameter: ‘zabbix_server_host’. This is the ip address or fqdn of the zabbix-server host. The parameter ‘zabbix_server_port’ is optional, you only have to use this parameter when the zabbix-server is running on a different port than 10051. Like the zabbix-server, the zabbix-proxy uses the PostgreSQL as default database. So we have to use the ‘database_type’ parameter for specifying mysql. server11.example.com, which will be running the zabbix-proxy. server12.example.com, which will be running the database. On the node of the zabbix-proxy, we had to add a new parameter: ‘manage_database’. We had to set it to false, the proxy class isn’t responsible for creating the database and loading the files. Thats what the ‘zabbix::database’ will do on the 2nd host.